Fidelity Investments, an early and major purchaser of Facebook stock, let go of 1.9 million shares during June alone, when the social network’s value on the public market sank as low as $25 per share. Currently, the shares sit at $20.85 in after-hours trading. Facebook stock hit a new low today: $20.84, down $25 from where it sat just moments before its initial public offering started back in May. Watching Facebook’s stock ticker over the past couple of months has been a grueling exercise for casual onlookers and a major disappointment for early investors. Fidelity, which includes a multitude of separate funds, bought large amounts of pre-IPO Facebook stock; as a result, we can’t really say whether or not any of the funds turned a profit. Before May, it was not uncommon to see Facebook shares trading in the high thirties and mid-forties on sites such as SharesPost and SecondMarket. If Fidelity funds paid anywhere near those amounts, it’s highly likely they lost out when selling shares over the summer. Prices wavered in the low thirties at the end of May, sinking into the twenties in June. The Wall Street Journal reports that Fidelity funds originally bought $200 million in Facebook stock early in 2011. In June alone, 21 Fidelity funds divested, dumping nearly 2 million shares onto the public market. Fidelity wasn’t alone in its optimistic expectations of Facebook stock performance, however. Other analysts and investors predicted the stock price would wind up selling forbetween $50 and $60 per share. 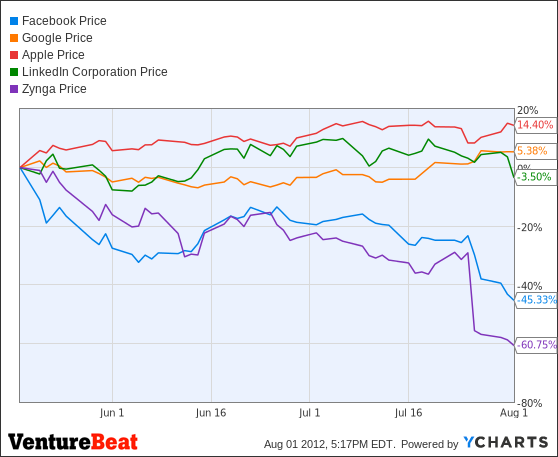 Nasdaq has been at least somewhat to blame for the botched debut of Facebook shares. The stock exchange is refunding early investors to the tune of $40 million or more in cash. And of course, many others are still hanging on to their Facebook stock. After all, just a few months after the company’s IPO, we’re all still very much at the beginning. Fidelity is the third-largest mutual fund company in the United States. It’s privately held and counts more than 20 million individual and institutional investors among its clientele.